The support from ITTF to the Uganda Table Tennis Association (UTTA) has started yielding after the Eastern African nation decided to take the TTX to schools in Kampala. Prior to the tournament organized for international schools in Kampala, UTTA sent some coaches to the school to tutor the students on the basics of TTX. After the expiration of the training, a tournament was staged among the schools with nine schools undergoing the training on TTX. At the grand finale of the TTX tournament held at Aga Khan International School in Kampala, over 168 participants turned up for the epic event. 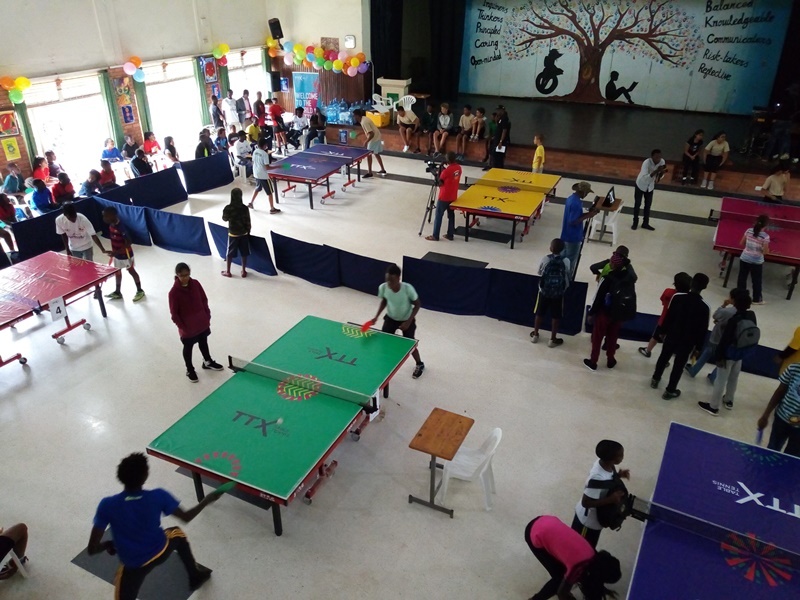 “At the grand finale, we had 168 participants turning up for the event which was very impressive for a brand new Table Tennis format that was totally new to the schools. (Initially we targeted 20 students per school so we fell short of 180 players by just 12, from the 9 schools that turned up. We consider this to have been a great success,” the UTTA boss said. Despite being the last schools to register for the competition and travelling a long distance from their base, Horizons International School emerged champions in the boys and girls events beating Kampala International School and Kampala Diplomatic School to the titles. To emerge the boys’ winner, Horizons thrashed Kampala International School 3-0, while they also inflicted same defeat on Kampala Diplomatic School. An excited Jjagwe Robert thanked the management of Aga Khan International School for their hospitality during the finale while hoping that more schools in Uganda would embrace TTX.